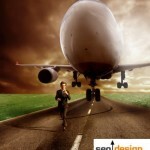 Search engine optimization and it’s application is just as much an art as much as a science. The scientific aspects are things like meta tags, h1-h6, the meta description, internal links, .htaccess files, robots.txt files, keyword density and the like. The artistic side of SEO (in my opinion) is the method in which one applies the tactics in order to quantitively produce such systematic results. Unique variables come into play for each website and based on the application of those unique methods each ranking result is ultimately distinct. For some websites, minimal changes are required in order to give the pages traction, for others they are better off starting from scratch. However, no amount of tweaking without the fundamental ingredients will produce holistic results without the proper planning and execution. 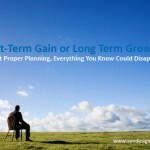 You have to ask yourself, what is the reason for optimizing your website? Is it because you realize that everyone else is doing it and without SEO, your chances of achieving a high ranking for a competitive term are next to nil? Is it because of that one company that is always at the top of search engines for your main keywords? or is it because you truly have a resource worth sharing that was designed for the benefit of the reader, provides a great product offering or services? Although you feel that each of these respective reasons bear the same weight in search engines, the site designed with the user in mind typically has one main ingredient that the others did not, foresight and value. As an SEO Company, you get lots of calls (based on your positioning) from individuals from diverse backgrounds from unique markets with a variety of potential obstacles. Each of which are opportunities to excel in disguise, but each has it’s own skeleton key that may or may not reveal itself upon initial research. Look at the domain age. Observe how often new content is added. Determine how often the site is Spidered. Determine if there are crawling issues with the code. Breeze through the code and look for flaws. Cross reference the top 5 competitors and look for similarities. and the other various steps an SEO might do. But are the answers to why website A ranks higher than website B visibly evident from mere chronological assumptions? New search engine algorithms make their debut intermittently from data center to data center without rhyme or reason defending the search engine result pages from those who would exploit or game the system. So just because one has SEO tools and can glean raw data, there is something transcendental about each website that remains concealed revealing only the tip of the iceberg. One thing you may not diagnose properly are factors like the “timing” or the age factor of links or content (like wine they get stronger), which links provide authority and rankings or how all of their on-page SEO and off-page SEO factors unify. Some companies (for example) start years in advance building links for competitive keywords to secure them. One thing however remains intact despite the website “Relevance”. If the reason you need SEO is to compete, then the first thing you need to ask yourself is, does the product or service you offer have what it takes? The next thing, is it represented well on the site, are their enough visuals, can users find the information quickly, is your site organized, the navigation evident, the content impeccable? If not, then no amount of SEO will help. First things first, if you really want to rank highly in search engines (aside from a short term boost) then here are the fundamentals known for producing hang time once you hit the mark. 1) Create relevant content, frequently; Search engines like fresh content. Our site for example as a result of the relationship that is developed over time gets spidered within 24-48 hours from Google for the main folders that have a history of frequent updates. Other pages take up to a week to see results. If you understand the implication of increased spidering activity, you realize that when you make adjustments to your pages if ultimately affects the relevancy of your pages. So, having the ability to go back and make tweaks to static pages, their links / anchor text or reformat areas that have been neglected and align them with the new direction of your marketing efforts can be extremely useful for fine tuning your position. This is a by product or (a) frequent (relevant) updates and (b) website authority. Website authority in your niche is the goal, so if you think that SEO is only about links, think again. Site relevance, the word you use, the age of the links (both internal and external) all make a difference. 2) Make sure your sitemaps are current – some link to the site map on each page, so the spiders hit the map from whichever page they land on, others link every page back to the homepage which has the link to the site map. My suggestion, give spiders credit, they are crafty enough to know which pages get the most attention from internal as well as external links and spidering the content is only one aspect of the equation (a very important one) but the main factor once again is relevance to the core theme of your site. 3) Use authority sites to develop links to bolster your position in the global scheme of search engines. Spammy pages will not provide that, generic directories will not produce the result. One way you can start building authority is looking at less competitive terms for your niche, targeting them, writing content specifically with those terms in mind (a page title, an h1 tag using the exact match key phrase, etc) then build 10 links to the page and see if you hit the top 10 for that term. After you bing enough lower level terms, the search engines become familiar with your site ranking in the top 10 (even if they are less competitive) and over time (if the keywords overlap) your site builds credentials for those terms. Just like the law of momentum where a like attracts a like or birds of a feather flock together, search engines can glean the gist of your sites collective relevance, categorize your motive (if you build the content systematically with relevance) and rank your pages accordingly. Combining topical relevance with building links from diverse IP’s and using content that is frequently created/updated to fit like a piece of the puzzle in your websites overall relevance/theme can accomplish more in 6 months than most websites accomplish in years. This will become evident when the site starts ranking like a juggernaut for virtually hundreds or thousands of niche related terms. So, if you want the secret to high rankings, it is never a simple one and done linear method for organic search (if you want that then use pay per click). High rankings are a result of finding the right combination of elements such as forecasting trends, targeting the right marketing channel and audience and optimizing the terms THEY would use to find you, NOT the terms you assume, so use keyword research. Another key point is to put the needs of the user first, give them purpose, yet engage them with a call to action so they can reciprocate, make a purchase, sign up for an RSS feed, visit more frequently and increase your click popularity. All of which are a major contributing factor in maintaining high rankings through popularity and consistent, relevant traffic. So, before you think I will just build some links, or I will just write a few articles or tweak a few pages, it is more about engaging the process as a whole with proper planning and vision (working from the projected future back to the present) that can put your site over the top. Once you’ve achieved a notable mecca of success, an entirely new series of challenges arise (like staving off the competition who will be gunning for your keywords with unparalleled tenacity) but that goes with the territory of being at the helm of the food chain online. The real benefit of SEO is being able to see measurable increases in website traffic that can start as a trickle and erupt into a stampede. Aside from all of the point mentioned above, timing is the most important, just like a hot IPO, those who get in on the ground floor before a companies stock skyrockets as a result of the value they offer to the market, keywords have the same capacity. The more you optimize the better the odds you have to gain market share, so, instead of sitting here reading about it, make sure you take steps daily to increase the equity of your website. Whether it’s adding a few links from blog comments, eliminating the clutter from your pages through editing your content, or adding a few new pages that correspond to a hot new category or buzzword in your industry. The early bird gets the worm, just like the top 3 receive the spoils of traffic, and the more pages you have indexed with your main keywords intact, the higher the authority your website can develop. 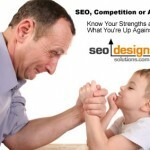 The Difference Between SEO, Competition and Authority! Thank you for an informative and useful article. 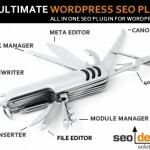 It convinced me once again that SEO was not only about backlinks. More backlinks to the site the better but the primary thing one should focus on is the site content on my opinion. A relevant and quality site content is the most important thing. Once again the “content is king” saying makes it’s debut in a 2000 word article. Some things are worth repeating and this is one of them. Thanks for your comments and your support. You have shared great post. Your post is very informative. This is helpful in commenting and provides unique list of dofollow blogs.